What is task you ask? Wha? In other words, TASK is an activity where artists pull a TASK from the task box which can be interpreted any way the artist chooses. Then each artist contributes a TASK to the TASK box for others to interpret. “You take one, you write one” TASKS can be anything…from build a treehouse to do a line dance, to brush your teeth. 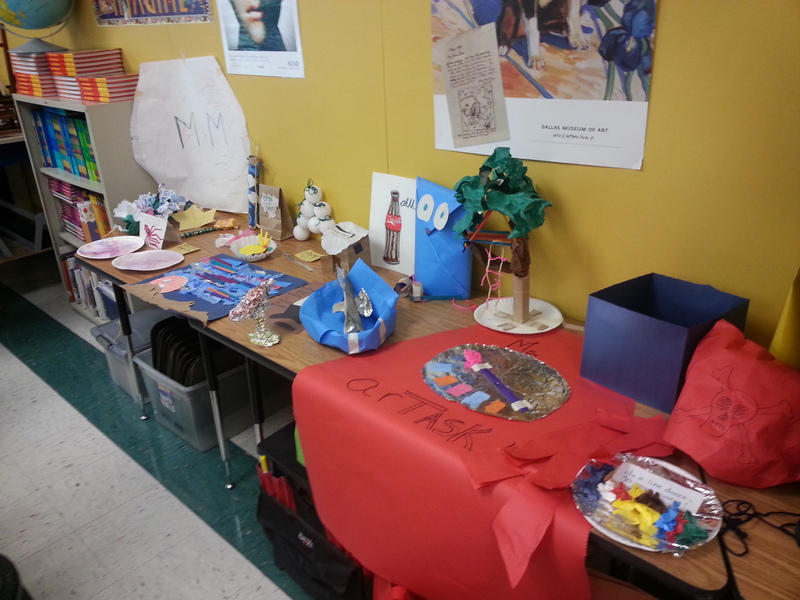 Materials offered to the artists can vary and include, paper, scissors, cardboard, yarn, string, glue, foil, bubble wrap, paint, crayons, tape….it is really up to the teacher. And, constraints can be added like time allotted or limiting materials. I went to the Texas Region 13 Re-Charge mini art conference this summer and unfortunately I was late. The workshop had started, so I walked into the room with minimal instructions on TASK, but I jumped right in. 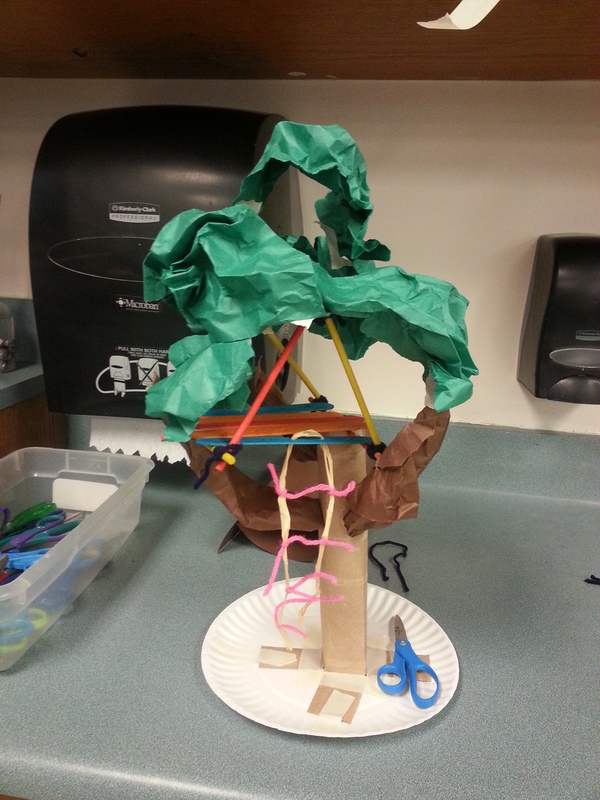 I pulled my TASK and it was “Build a Tree House”. I took a deep breath, looked around at the materials supplied and found an empty spot to proceed. I completely loved the activity. I loved being creative with the different materials and I really enjoyed looking around to see what others were doing and how they manipulated the materials. My tree house. I am quite pleased with it. I plan on bringing task into my classroom this year. I think I will do it once a 6 weeks so the kids can have a day or two to re-charge and get the juices flowing. I think it will flow seamlessly into my TAB classroom.